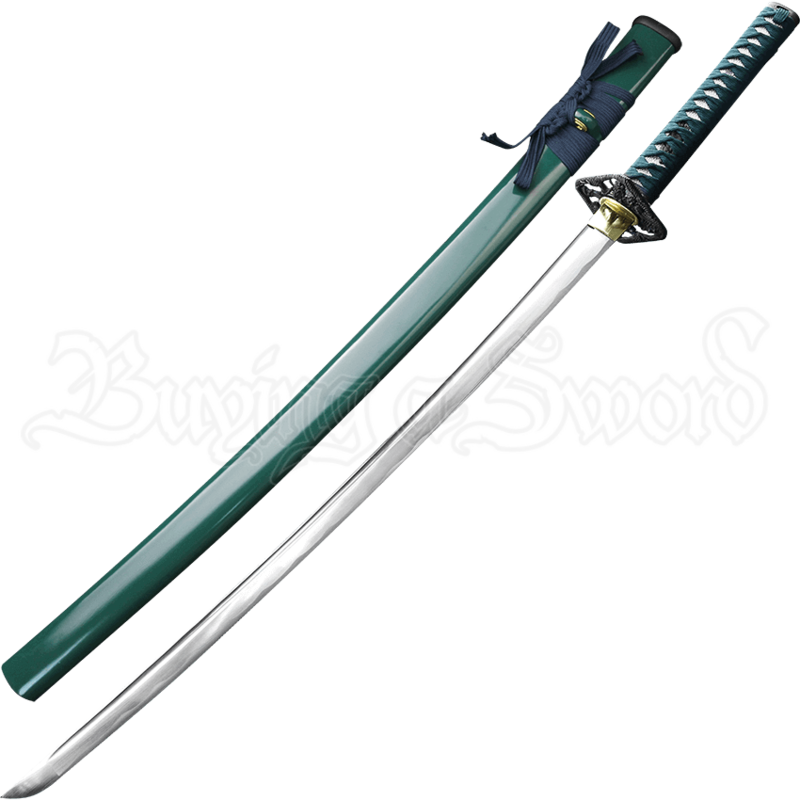 A stunning and handmade piece of Japanese inspired weaponry, the Hand Forged Samurai Sword with Green Scabbard will be a special addition to any display, with several extra touches that would make it a wonderful gift for a loved one. This carbon steel blade features a long fuller down its spine. 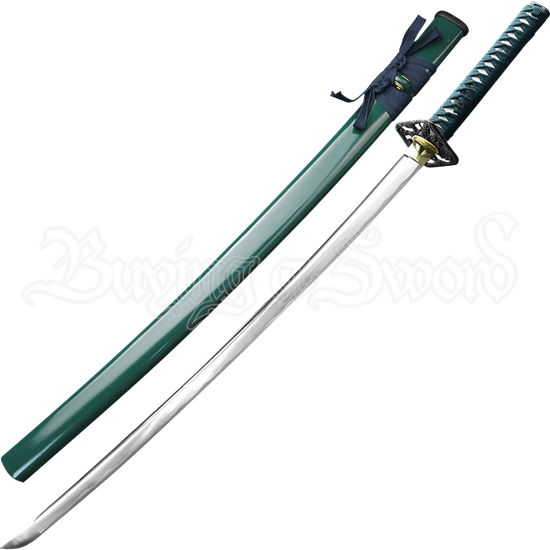 An ornately crafted hilt sits at the base of the blade, while the handle is wrapped tightly with bright green cord. This samurai sword includes a gleaming green scabbard as well as a bag and a box that is covered in lovely red Japanese flowers. The Hand Forged Samurai Sword with Green Scabbard is the samurai sword that will take your display to the next level, catching eyes and inspiring envy from all who see it.